What will the product or the product system of the future be like? This is a question MBDA daily tries to answer. Engaging with customers about their needs in future conflicts and – developing products and systems to address those – cannot be far behind. Having a vision of what the future be like is a common objective within MBDA. Thanks to Concept Visions, we are going beyond imagination, fostering a mindset and creating an operational context. Future products innovation are taken into account at each steps of our business model. “We regularly speak of the need to innovate in order to address the restraints of budget austerity, a challenging market and aggressive competition. 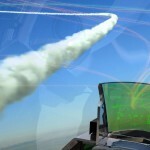 However, ultimately MBDA must innovate to make a difference”. MBDA’s continued commitment and desire to explore and forecast tomorrow’s weapon systems has led to develop the conditions to harness the imagination and innovation of European workforce. 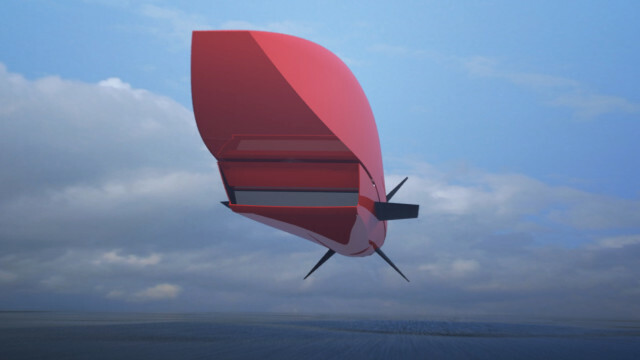 To create the inspirational and ambitious concepts for future weapons systems, in 2010, MBDA launched Concept Visions, an annual initiative to unlock creativity and promote teamwork accross business units and frontiers. Future missile systems are prepared using a progressive converging process. This process gradually transforms a set of operational needs, industrial strategies (either government driven or internally promoted), ideas and technologies into a new solution that will provide operational value to a customer. In this process, all the environment is taken into account, and a permanent open discussion is maintained between the technical and commercial levels and with the customers. → In the preparation phase, the Future Systems Directorate is in charge of conducting studies that will investigate and mature new technologies, develop, evaluate and select concepts and refine requirements. → In the development phase the lead is transferred to the Programmes Directorate that will be in charge of the development of the solution. Though the duration of all this process, ideas and innovation coming from inside MBDA but also from suppliers, SMEs, academia or other partners are taken into account and integrated into the solution building. At MBDA we take into consideration all sort of technologies and solutions that have a potential to deliver operational value to our customer. Technology, integration, concept of employment, economic model : we invest in all these aspects to improve our products performance. All the ways that allow to insert innovation in our products are considered: incremental improvement of present products, potential “game changers” and niches that could complement our product portfolio. 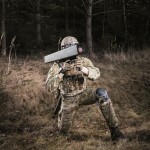 Enforcer is MBDA’s answer to the need for a lightweight, high precision weapon, with stand-off capability for infantry and special forces, at an affordable cost. MBDA is advancing high powered lasers in developing an integrated systems approach for laser weapons with significant internal investment. 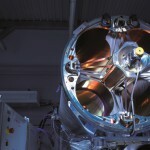 MBDA’s successes in technology have led to the development of a high energy laser weapon demonstrator. 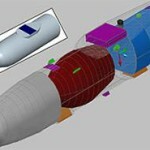 MBDA is building, together with the best-of-their-class BVRAAM (Beyond Visual Range Air-to-Air Missiles), a comprehensive environment that will allow the pilot to make the best use of their performances. Through the GUSD (Guidance in Uncertain Shooting Domain) algorithms, the whole combat system of the plane, fully integrated with its missiles, is optimized. The evolution of threats, its diversity and its way of use, impose to evaluate new ways to integrate the missile extended air defense systems within the coming battlespace organization, in particular using systems of systems approaches and network centric warfare capabilities. 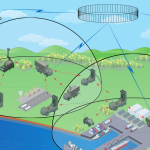 A satellite communication device has been developed and tested at MBDA, that is able to fit on a Teseo missile. 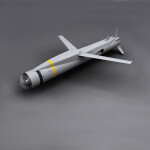 Building on the technology developed for various programs (including the Brimstone and the Dual Mode Brimstone Air-to-Ground missiles), MBDA is designing a solution for the Selected Precision Effects At Range, capability 3 requirements.